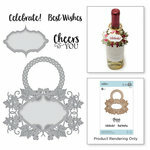 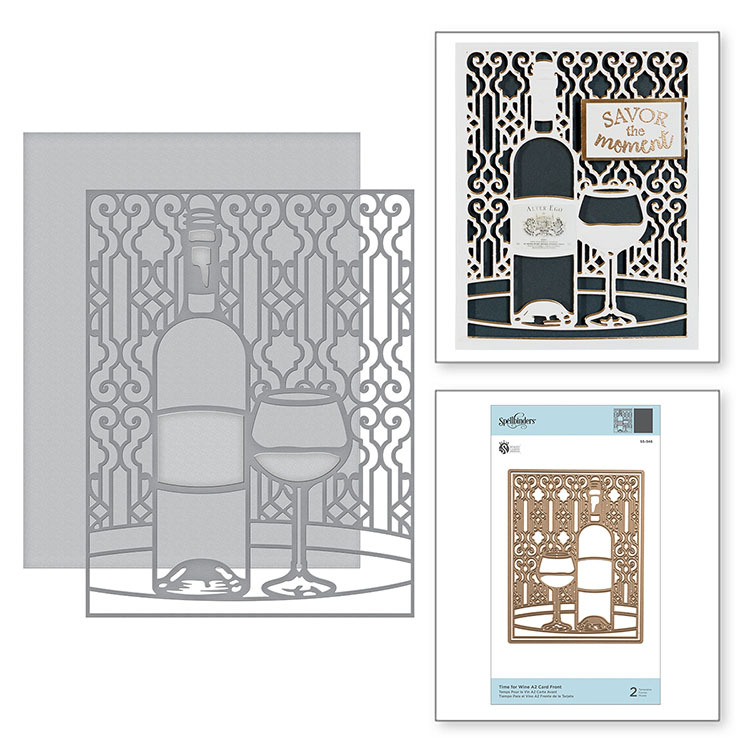 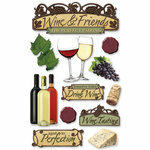 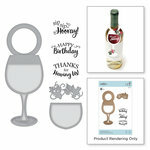 Create a beautiful card in a snap with the Card Creator Time for Wine A2 Card Front Card Dies! 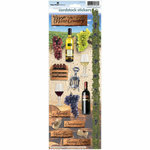 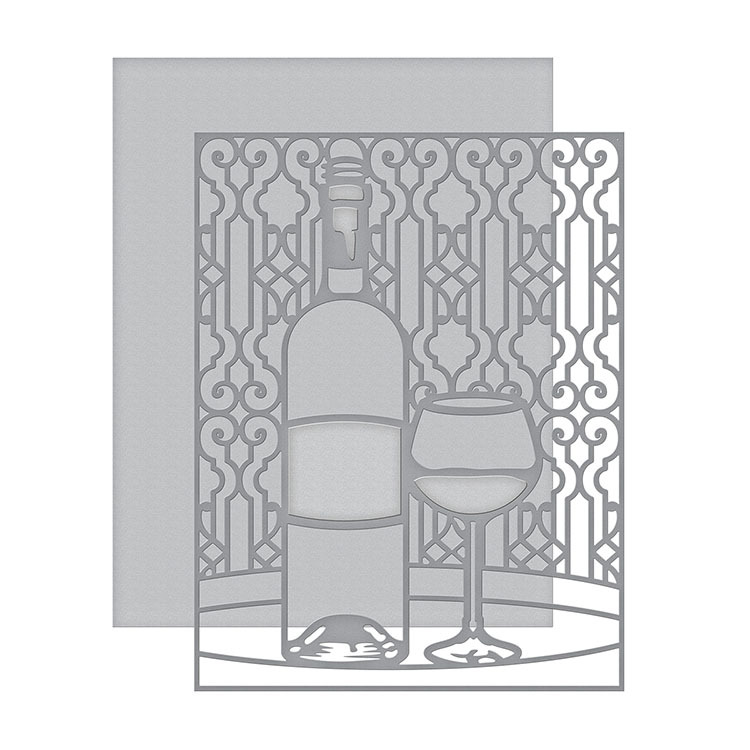 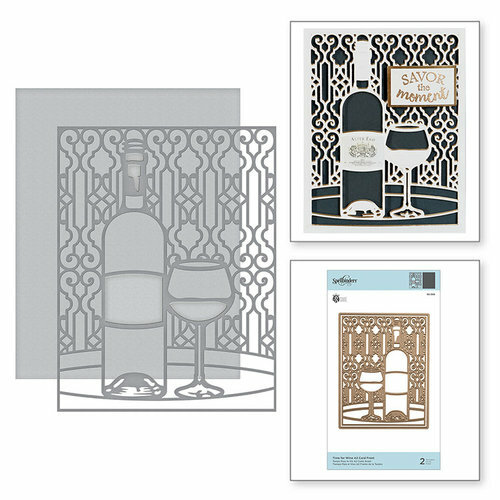 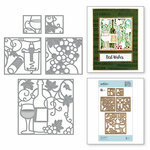 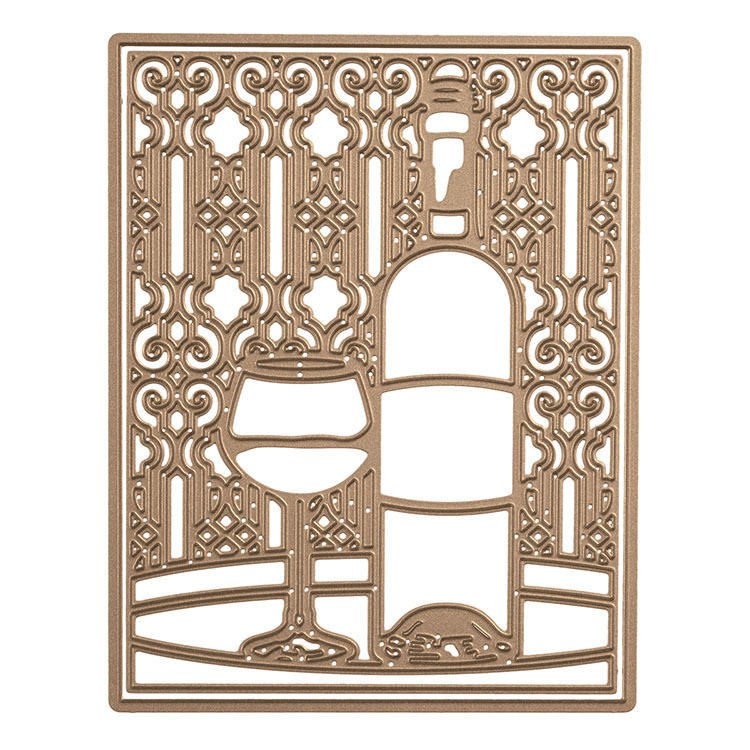 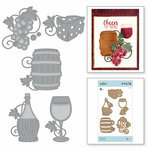 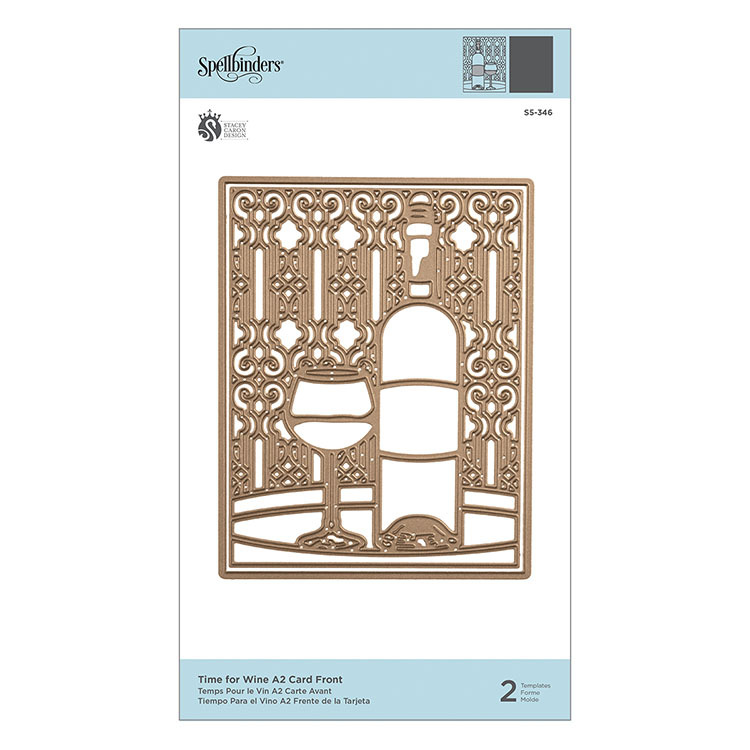 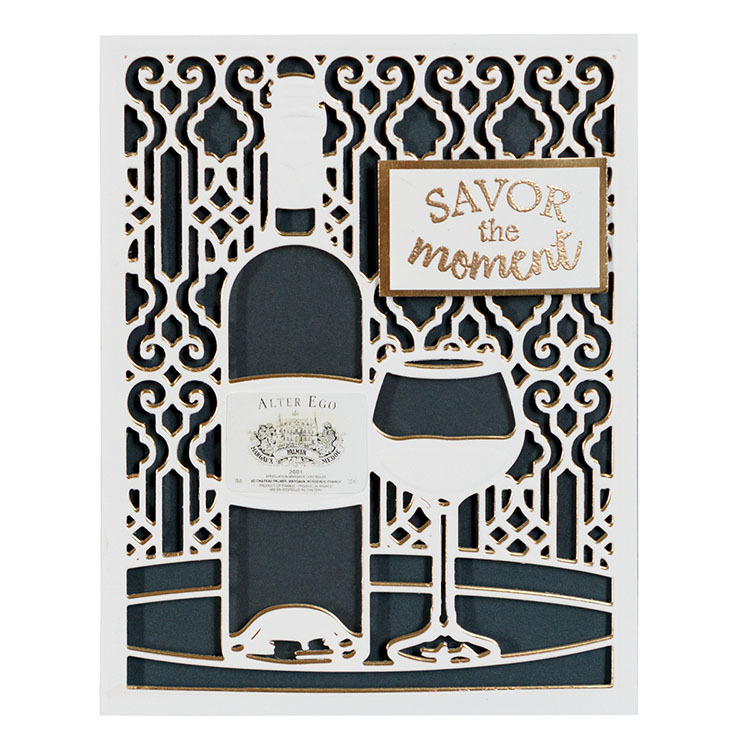 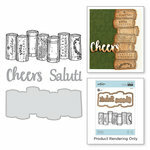 The package includes two thin metal dies featuring a wine glass, wine bottle and border from the Wine Country Collection by Stacey Caron for Spellbinders. 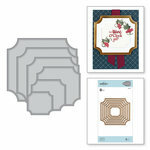 The dies measure from 4" x 5.3" and 4.3" x 5.5" and are compatible with most die cutting machines sold separately.